Whether you had a stellar year in 2018 or can’t wait to forget all about it, you’re probably looking to get more out of your blog in 2019. How do you do this? Instead of simply doing more of what you did in 2018, adjust your blogging strategy so that it’s tailor-made for success in 2019 (not for 2017 or 2014). What should you include in your strategy to crush your blogging and business goals in 2019? 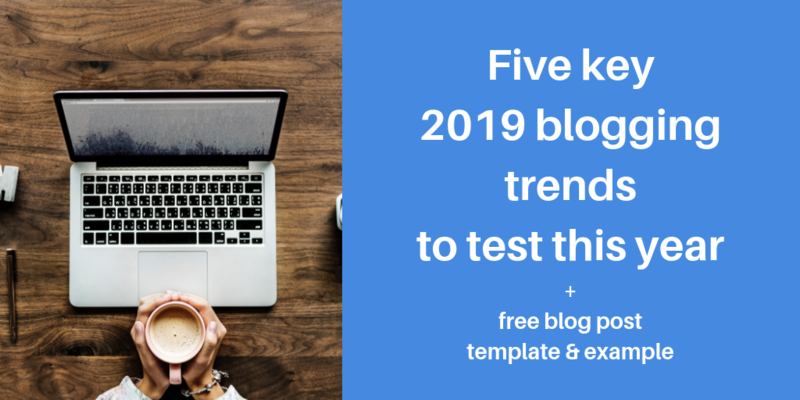 Here are five key 2019 blogging trends to test this year. Want more blog traffic, email subscribers, clients, or customers this year? Learn how to craft blog posts that convert. Download my free blog post template + example. These days, it can be easy to believe that text-based content is losing out to its more popular cousin—video. It’s true that video content is smokin’ hot (I’ll get to this in a bit), but people still want and love written content. In fact, people love comprehensive blog posts and articles so much that Google is more likely to give your content a better ranking if it’s high-quality long-form content (think >1000 words in length). Google’s love affair with long-form content has been growing for a while. But because its recent algorithm changes place even more emphasis on long-form content, sharing longer blog posts is a particularly important 2019 blogging trend to test. Of course, sharing longer blog posts isn’t great just for pleasing Google and other search engines. It’s also awesome for engaging with your most loyal fans. In particular, long-form content is a great way to provide in-depth information about concepts, processes, and experiences. And this is exactly what people are looking for if they’re passionate about your niche or want to learn more about it. That’s why sharing longer blog posts is a great way to build a relationship with your most valuable potential customers or clients. When people are interested in a topic or want to learn more about it, they usually don’t settle for finding just one piece of content on it. Instead, they look for multiple pieces of content that each tackle different aspects or subtopics of the topic. And because Google is in the business of pleasing online searchers, you can bet that it has taken notice. That’s why in addition to prioritizing longer blog posts, Google’s algorithms emphasize topic clusters. A topic cluster consists of a pillar blog post and several content blog posts that are related to it. The pillar blog post provides a broad overview of all key subtopics related to the topic. Each content blog post then provides detailed information about one of the subtopics. Hyperlinks connect the pillar post to the content posts. They can also connect any post within a topic cluster to a post in another topic cluster. For example, if I had a blog on baking, I might create a topic cluster on allergen-free baking. In this case, I might write a pillar post that provides an overview of key subtopics within allergen-free baking, such as useful substitutes for allergens, how to minimize cross-contamination, and tips for gluten-free baking. I would then create individual content blog posts that provide in-depth info on each of these topics. Topic clusters are a key 2019 blogging trend because they show Google that you’re serious about providing your audience with detailed, high-quality information on a topic. You aren’t just trying to game the system and be opportunistic by writing content on keywords that you think you have the best chance of ranking for. When you think of people searching for info on Google, you probably picture someone typing a search term into Google on their phone or computer. But with voice recognition technology steadily improving, it’s becoming more and more common for people to use voice search instead. In fact, industry experts predict that half of all searches will be voice searches by 2020. 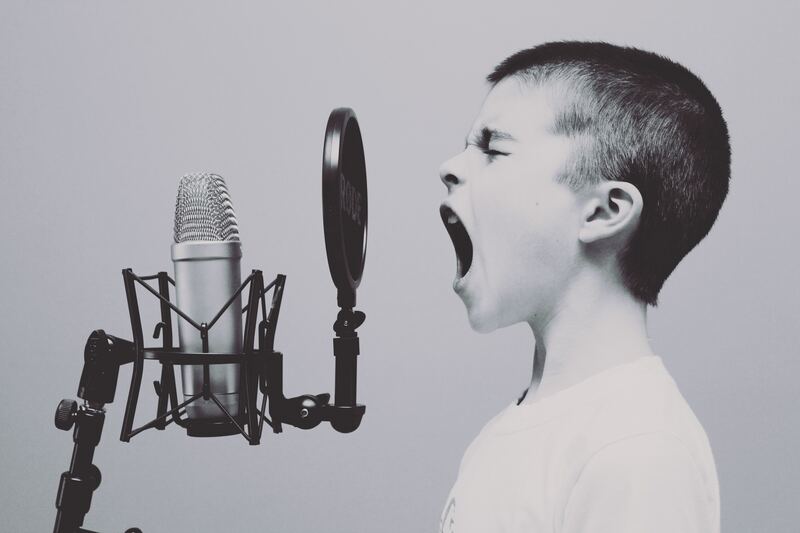 That’s why this 2019 blogging trend is all about optimizing your blog posts for voice search. When conducting voice searches, people tend to use more casual language. They also tend to ask full questions (e.g., “How do I optimize a blog post for Google?”) instead of simply saying specific search terms (e.g., “blog post SEO”). For these reasons, experts suggest integrating language like this into your blog posts. I said it last year, and I’m saying it again this year: video content is gaining massive momentum, and it doesn’t show any signs of fading. That’s why adding video content to your blog (if you haven’t already) is a key 2019 blogging trend. How can you test this strategy on your blog? You can either start a YouTube channel and embed videos from your channel in your blog posts, or you can take a stab at doing a live video on Facebook (even if it’s just to tease your blog posts). 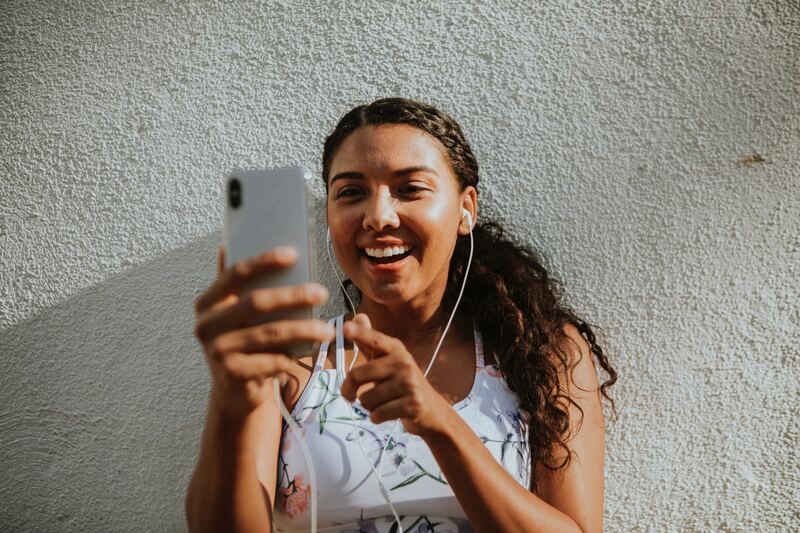 Adding video to your blogging strategy is an effective way to connect with your audience and humanize your brand. (After all, with video, people can see that you’re a real living, breathing person.) And if you’re camera-shy, experimenting with video can also be a great confidence booster. 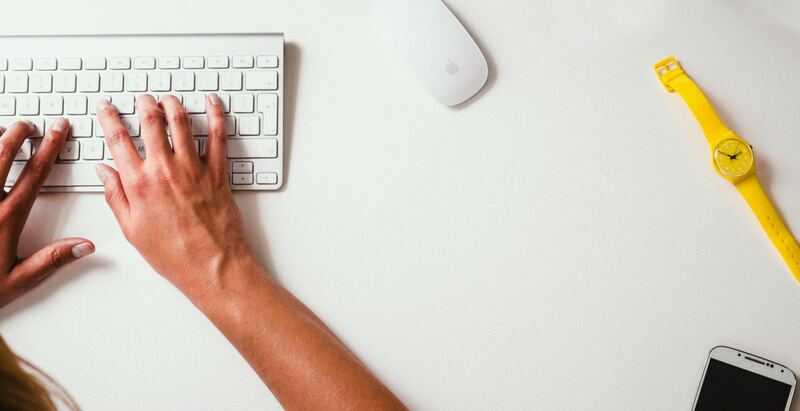 This 2019 blogging trend takes engagement even a step further than video content does. Specifically, instead of just creating content that allows people to see you and your brand, this trend encourages you to create content that your audience can interact with. Why is this important? Interactive content increases engagement, allows you to distinguish your brand from others, and boosts your credibility. 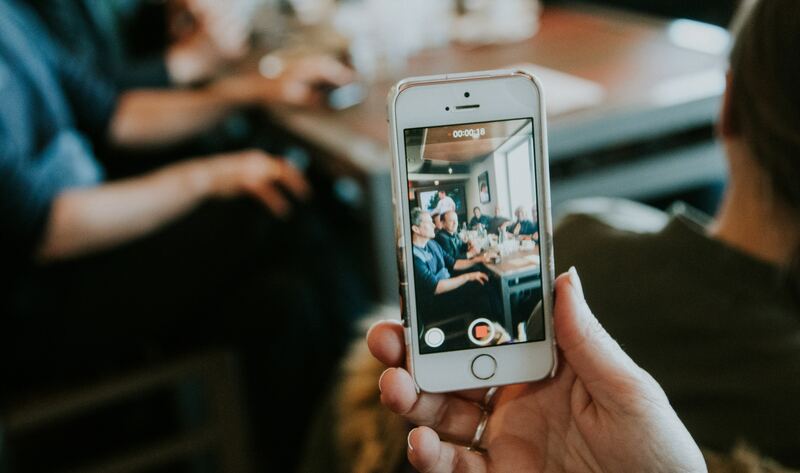 You can test this 2019 blogging trend by using live video to conduct Q&A sessions with your audience. You can also create tools that help your audience implement the info you provide in blog posts. For example, CoSchedule’s headline analyzer tool helps readers implement the info they provide in their content on how to create great headlines. Getting better results from your blog in 2019 isn’t about working yourself to the bone and trying to churn out as much content as possible. Instead, it’s about offering immense value and giving your audience the type of content they’re craving. Experiment with long-form content in topic clusters, pre-recorded or live video, interactive content, and voice search optimization. They’ll help you boost your traffic, gain leads or subscribers, and grow your brand this year. So what are you waiting for? 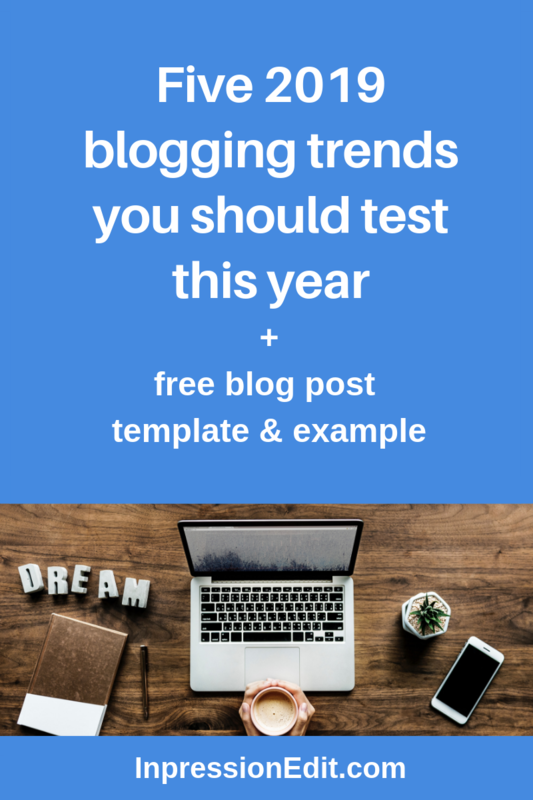 Make it a priority to test these 2019 blogging trends so you can start crushing your blogging goals!